I have been admiring peoples textured beads for some time and wanted to make some of my own. 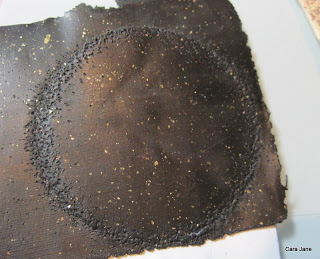 I tried rolling beads on some rough sandpaper but there wasn’t enough texture and I kept rolling the texture I made off and getting bits of sand on my beads – not good. I asked for help from some more experienced clayers – on PCC forum and I also emailed some people direct who had photos of textured beads on flickr. 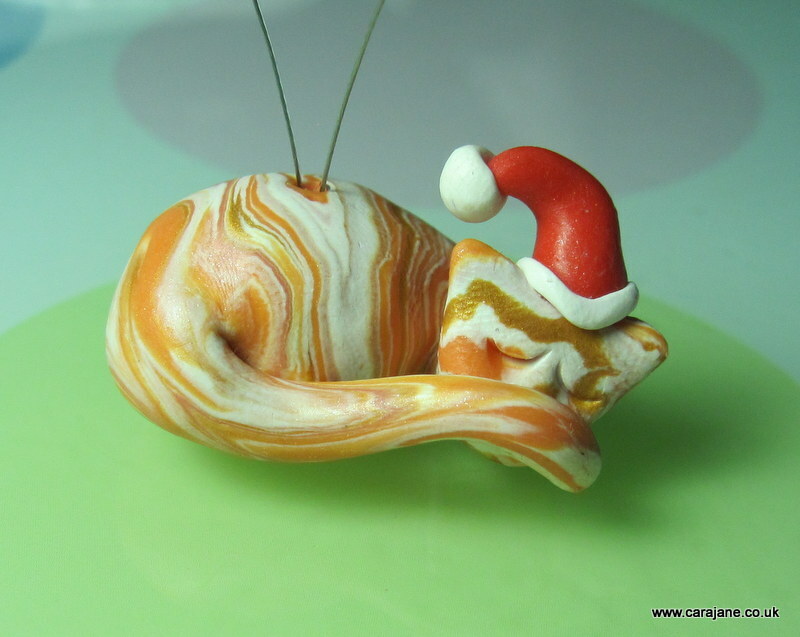 Many people were very generous sharing their techniques – I love the polymer clay world! Bettina suggested rolling beads between two pieces of rough sandpaper in your palms but I wasn’t happy with my sandpaper. I will try that when I have some coarser, clean sandpaper. 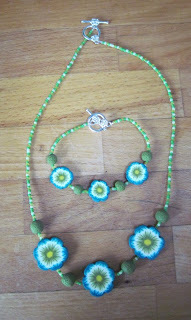 The suggestion I am currently using is from Ayelet (you may remember I reviewed her Ayelet Beads tutorial sometime back). I have prepared a mini tutorial for you (although I am sure you could all work it out without the pictures, I had the camera handy). Enjoy! I was going to get another flat grater as it would be easier to roll the beads on it but then realised the curve allows you to touch up the top and bottom of the bead whilst on the needle tool. The finished (nutmeg grater) textured bead. That’s great – ha ha!! Can’t wait to give it a go. Cara, Super idea. Thanks for the pictures/mini tute. Makes a great texture. Looks rather like an elegant orange skin. Great idea! Thanks for the tute…nutmeg grater, hmmm…don’t have one of those. I guess I will have to search for one. Great textured bead. Thanks for sharing! Cara, thanks for the neat pictures and idea about the grater. I’m thinking with some antiquing, that red bead would look like Cinnabar. Looks like another trip to the kitchen store even though I don’t cook. Thanks again. doesn’t have to be a nutmeg grater – justa fine grater. Would love to see your creations too and a big thanks to Ayelet for the original idea. Good idea using the grater for texture. And really nice photos on your mini-tute. Thanks! “Grate” tip, ha ha! Thanks! 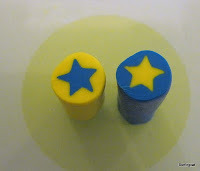 I have rolled my beads in salt – coarse rock salt gives a really good texture – and then after baking pop them in a bowl of water to soak off the salt. You clay guys/gals look into leather tools. Your clay won’t look like leather, there are so many different tools available that can do so many textures, patterns etc, you can do literally anything. I use them to texture wax balls by heating the stamps, then I use the wax ball to make a silicon mold to replicate that ball many times over for products I sell.